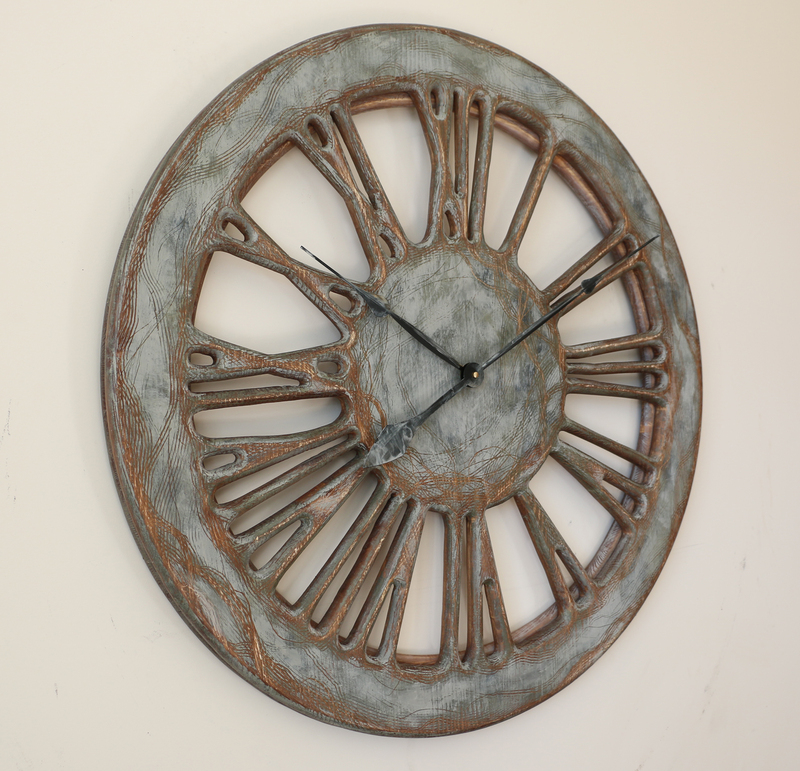 Large Vintage Skeleton Clock with Roman Numerals. Available in 3 sizes. 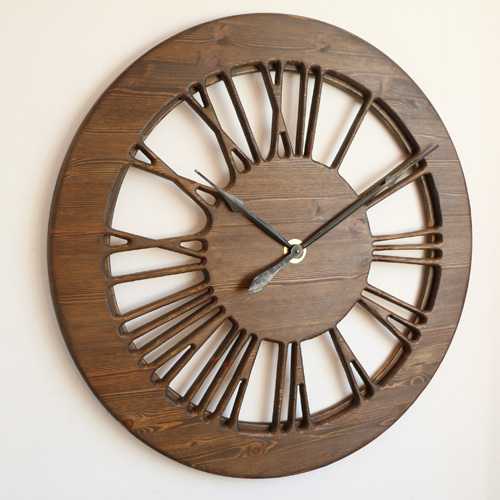 The Light Vintage Skeleton Clock is handmade from a single large panel of sustainably sourced pine wood. It is a member of the new family of hollow clocks. The clock face is displaying carefully crafted Roman numerals and the wall colour is in the background. 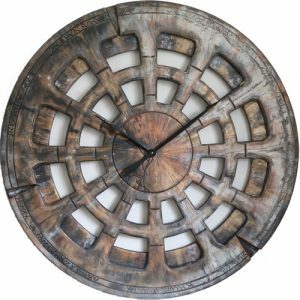 With a total diameter of 40″ and its classic design, it will blend well in most interiors. Now we are also offering two other sizes – 30″ or 48″ to better suit your needs. This vintage skeleton clock would be the perfect centrepiece in your living room. 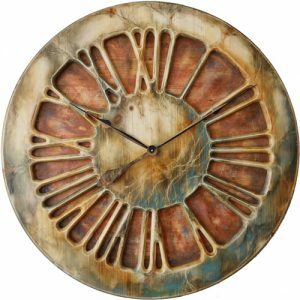 Have you ever seen 40″ timepiece with such a beautiful natural appearance? 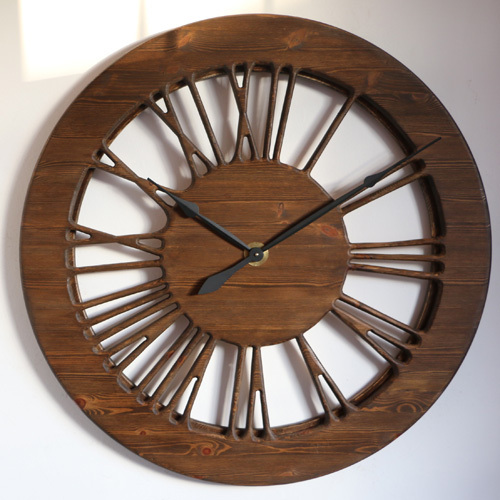 Unlike the overwhelming majority of skeleton clocks available on the market our products are handmade from single large panel of pine wood. The additional narrow rim is attached at the back to provide more three dimensional look. The clock mechanism requires a single C Cell battery to operate. We send it by first detaching both hands to prevent any transport damage. We have recorded full demonstration showing how to securely attach the clock hands on Youtube. 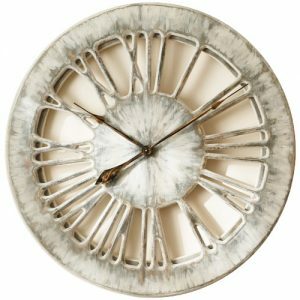 The Peak Art Clocks are one of its kind, expensive pieces of art that will satisfy the most demanding taste. 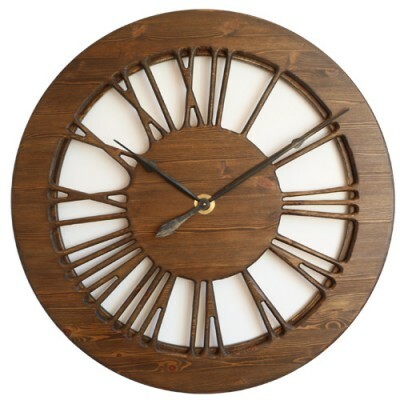 We are the first company that designed a large clock face that is cut out of single panel of wood. The numerals aren’t simply attached or painted but are integral part of this wooden sculpture. 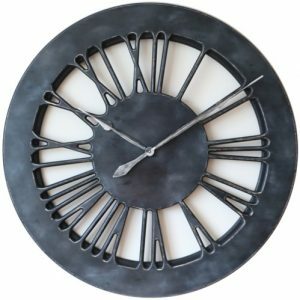 With such a fabulous vintage skeleton clock on your wall you don’t need any large painting or mirror to fill that big empty space. 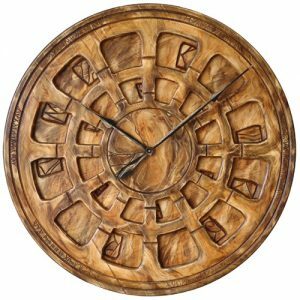 Peak Art Clocks have started trading online in the spring of 2015 and since then we have gathered thousands of Facebook Followers and Twitter Fans. Please join us online and post your feedback and comments. As a global family business we put our hearts and soul in everything we do. 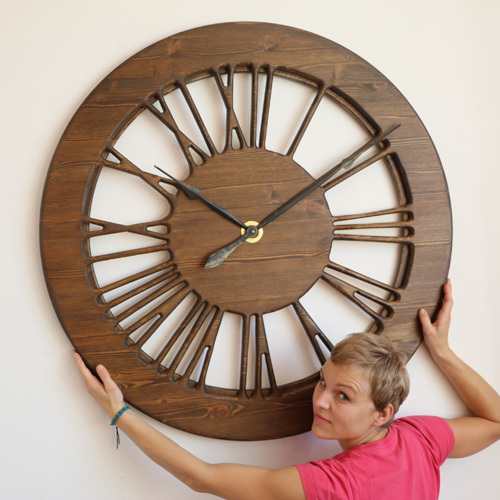 If you search for Extra Large Handmade Wall Clocks on Google you will see there is no competition to be found.